January 12, 2016 - Airbus has exceeded its targets for 2015, achieving a new record of 635 aircraft deliveries for 85 customers of which 10 are new. 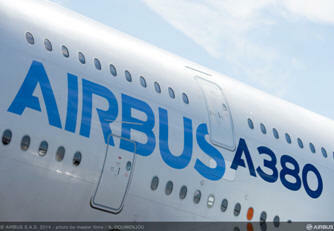 These deliveries comprise: 491 A320 Family aircraft; 103 A330s; 27 A380s; and 14 A350 XWBs. This production achievement means that Airbus’ aircraft deliveries in 2015 were up for the 13th year in a row, surpassing the previous year-end delivery record of 629 aircraft – set in 2014. Important progress was also made on the A350 program’s next variant, the A350-1000 whose major components and structures are now taking shape across various production sites. Likewise, parts are now in production for the first A330neo with the machining of its first engine pylon and centre wing-box components. In addition, there has been good news for the flagship A380, 10 years after its first flight, with the program breaking-even for the first time. Airbus releases 2016 average price list for its aircraft (millions of US$). The company has increased the average list prices of its aircraft by 1.1 per cent across the product line. The new pricing is effective from January 1st 2016. The 1.1 per cent price increase has been calculated according to Airbus’ standard escalation formula over the January 2015 to January 2016 period and takes into account the drop in materials and commodities prices.